Man, was I looking forward to actually having Christmas off. In our line of work, it’s absolutely amazing that J and I not only had Christmas Day off, but Christmas Eve and enough days around the holiday to travel . This will probably be the last time in a long time that this happens. 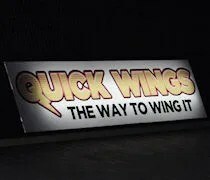 Quick Wings is a fairly new restaurant on 28th Street SE east of Lincolnshire Lane in the Cascade Commons shopping plaza. Somehow, I have a feeling this place has some sort of ties to Wing Heaven. The menu is pretty similar with the same sauces and seasonings….and they have Kool-Aid. Unlike Wing Heaven, Quick Wings has a lot more on their menu than just wings if, for some reason, you’re not a wing person. I called my order in a little after 6:30. The gentleman on the phone told me it would take about 15-20 minutes and that’s about how long it takes me to get to that side of town. 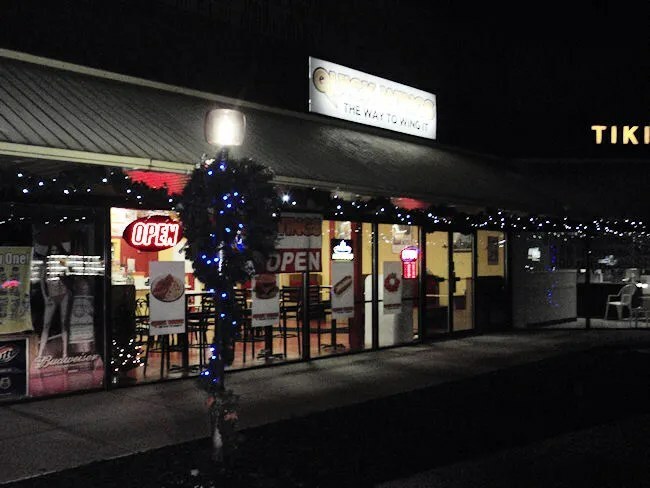 I was getting in the car as I was placing the order and when I walked in to the small, quick service restaurant, there were two minutes left on my wings in the fryer. My order was 12 traditional Garlic Parmesan wings and a pound of fries. I passed on a drink knowing I could get a bigger Pepsi out of the vending machine at work cheaper. The wings and fries came to just under ten bucks. By the time I was done paying, the wings were coming up on the counter. The guy working the front bagged up the two Styrofoam containers and I was on my way. I was pretty hungry by the time I got my food and I still had a 15 minute drive back to work. There was no way I could eat wings, but I could dig in to the fries. A pound of fries is a lot of fries. Good thing I was hungry. 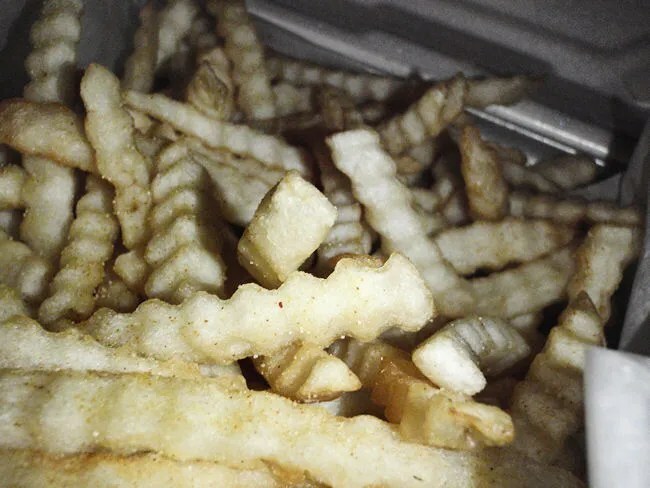 The crinkle cut fries were very crispy and dusted with seasoned salt. They have a whole list of seasonings you can put on fries, but the seasoned salt is my favorite. It’s not much different than the stuff you get out of the big Lawry’s jar, but it’s really good. It makes pretty ordinary fries just a little bit above ordinary. When I got back to work, I couldn’t wait to bust in to the container of wings. 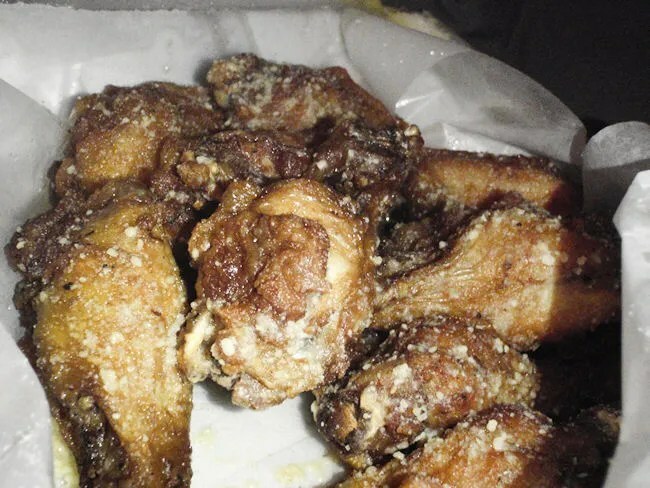 The large crispy wings were covered in a garlic Parmesan mix. The wings were juicy and very flavorful on their own, but it’s the Garlic Parmesan coating that makes me really like wings anymore. Sure, I like Buffalo Wings from time to time, but Garlic Parmesan, I could eat them all day.